While many people around the world have the ingenuity or desire to grow a business and provide for their family, the opportunities required are often lacking. Starting a small business requires an initial investment, such as a business loan. However, for people in poverty, getting a loan from a bank is essentially impossible due to lack of assets or capital. Moreover, the only loans available often have interest rates as high as 25% per month. This injustice limits the potential of so many, but the story does not have to end there. When we choose to invest in those the world deems unworthy, or “the least of these,” hope is restored and a door of opportunity is unlocked. Pictured above is Francis from Uganda standing with the inventory in his retail shop all made possible with his loan of $300. Generations of people are shackled to a cycle of poverty stemming from broken systems and relationships. The dependence on unstable and unreliable resources experienced by those in poverty often seems to be an insurmountable problem. However, through the power of Christ, not only can physical and economic needs be met, but ultimately true transformation can also occur. God is providing a way to transform lives from this crippling poverty to lasting stability through the Microloan Ministry! Through access to microloans, small business trainings and discipleship groups, thousands of poor believers in Africa, Asia, the Middle East and the Caribbean have grown in their businesses and their faith. Alleviating poverty through microloans ($100-$500 to start) and savings enables poor business owners to reach a new level of economic stability without unhealthy dependencies. 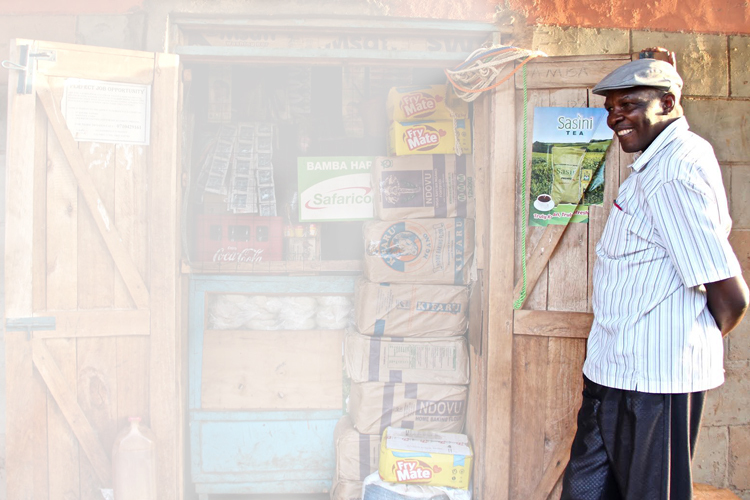 Our borrowers are economically empowered through their own hard work, discipline and repayment of the loan. 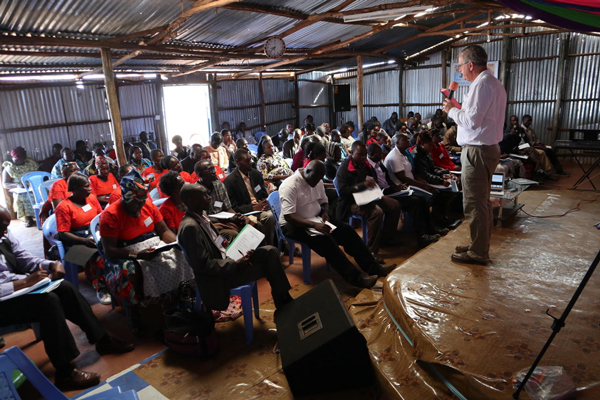 Biblically-based trainings focus on teaching basic business and financial topics to the community at large, as well as more in-depth trainings for our borrowers and micro-bankers. These Small Business Trainings (SBTs) provide the foundation for these entrepreneurs to establish sustainable incomes built on the solid foundation of Christ. Creating space for mentorship, discipleship and evangelism in our small groups of borrowers encourages holistic engagement that goes beyond strictly financial improvement, but permeates every aspect of the broken systems and relationships of poverty. Currently, the Microloan Ministry is working with more than 91 micro-bankers and over 1,246 borrowers in 12 countries. 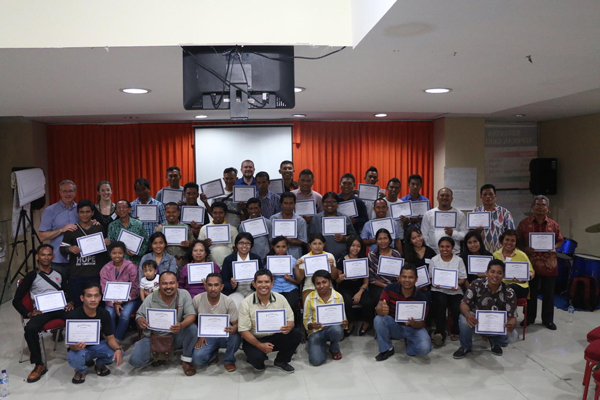 We have held 23 Small Business Trainings since 2014 for 2,490 students in 9 countries. 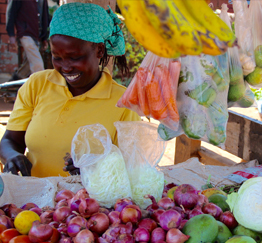 Borrowers use their microloans to launch tailoring services, sell prepared food, raise chickens, pigs, cows, or goats, plant cash crops, or open a retail shop in the market. When their micro-loans are repaid in 6 to 12 months, borrowers are often offered larger microloans to expand their sustainable businesses and increase their profits. Some borrowers become employers as their business expands, or diversify their investments by entering a new area of business. Karanja in Kamwaura, Kenya used his loan to purchase a pregnant cow whose calf he sold for a profit while continuing to benefit from his initial investment. Your contribution will help fund small business loans and trainings to poor Christians and communities in restricted and developing nations around the world. These brothers and sisters are willing to work hard to see this opportunity through for themselves and their families. Will you partner with them? 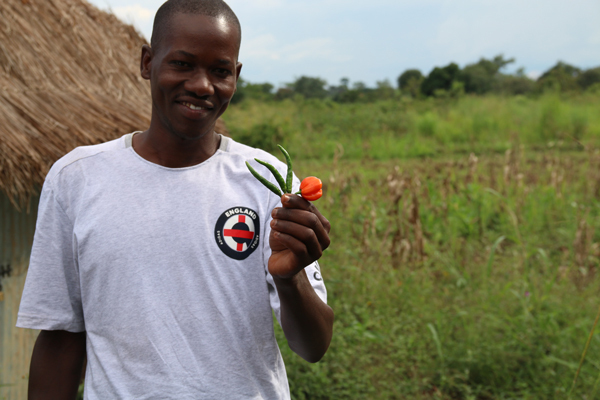 A gift of $150 can help a sister in Christ start a small vegetable stand. 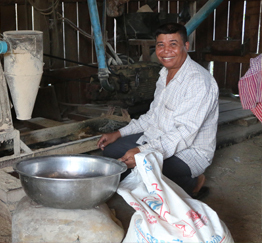 A rice refining business can be expanded with a contribution of $500. 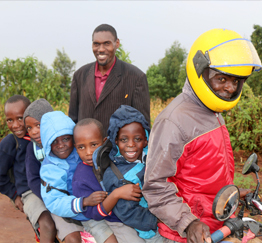 A gift of $1,000 can help start a bodaboda (motorcycle) business.